This entry was posted on Sunday, July 29th, 2012 at 6:55 pm	and is filed under Eating Disorders, Maudsley Approach, Psychotherapy. You can follow any responses to this entry through the RSS 2.0 feed. Both comments and pings are currently closed. This is an excellent blueprint for what’s needed in Stage 3 for those who have not had long term illness. I’m wondering how it would be adapted for those who have had long term illness since a young age when their emotional development was stunted, comorbids that need to be treated and in remission, and to plan for making up for that lost emotional development in Stage 3. How would you help them get through those stages of emotional development? How would you help them in making choices that promotes their health and recovery? Excellent question. Unfortunately, at this time Maudsley FBT has not been empirically validated for individuals with long-term illness (those who have been ill for more than 3 years). However, there is anecdotal evidence that a modified form of FBT can be effective with young adults and long-term sufferers, and there are currently research trials going on for this population. I predict that there will be solid research evidence supporting FBT for this population within the next few years. Given the lack of research evidence on Maudsley FBT for long-term sufferers, all I can offer is my opinion. So please keep in mind that the following is purely my opinion: I have noticed that long-term sufferers who are doing FBT usually need to spend much more time in each of the three phases than recently diagnosed sufferers. In my opinion, the crucual question is not “How can Phase III be adapted for long-term sufferers?” but rather “What else do long-term sufferers need besides FBT?” In my view, the three phases of FBT would remain essentially the same for long-term sufferers (although each phase would typically last longer in a long-term sufferer). The key difference would be that a long-term sufferer, usually an adult who has been suffering since childhood, will often need long-term individual therapy after FBT has concluded in order to address social/emotional development and the process of separation / individuation, which had not occurred on schedule due to the eating disorder. In terms of decision making in general and pro-health chocies in particular, long-term sufferers often need help in establishing a healthy identity and defining their values and goals once ED is in remission. This process is infinitely harder for long-term sufferers, who often cannot recall a life before ED and fear a life without it. Making pro-health choices to keep the illness in remission is an important goal for all patients, regardless of the duration of illness. This process involves identifying possible triggers, developing coping skills, practicing good self-care, building a positive support network, and creating a safety net in case of relapse. As a mom of a 25 year old daughter who has had anorexia for at least 7 years now (on and off) and has been severe/hospitalized twice for 3 months each, I find that the FBT.Maudsley concepts very useful – when modified – for some young adults. But the big problem is finding the right FBT/therapist who has the necessary EXPERIENCE with this FBT and this population of young adults – the ability to be CARING, CONNECTING and COMMUNICATIVE. It’s nice that so many therapists want to ‘train’ for the FBT certification offered by U of Chicago/Stanford BUT one needs to remember – in working with one of those people – they are TRAINEES. Most of those therapists bring with them some ‘old school ideas’ that they try to bridge with FBT/Maudsley concepts; some are young therapists just getting started or with minimal experience. My daughter came home from treatment in July 2010 and was doing pretty well in recovery. We looked and looked for a good therapist, and found that the right fit was hard to come by. Seven months or so agao, we tried a trainee who is a caring, wonderful person. My daughter suffered a serious relapse with this change. After 2 months, she is weight restored again but unfortunately her brain has yet to catch up. What we learned – as you said, Dr. Sarah – with someone who has been ill as long as she has, taking things slow is the best course. I would like to add to my above post that I do not blame the FBT therapist for my daughter’s relapse. Many factors were likely in play. One of the biggest ones could have been going from ‘blind weighting’ to ‘open weighing’ – daughter was clearly stressed by knowing her weight and came to the conclusion that she did not want to BE that ‘high of a weight’. I would say that if one is going to do the open weighing with a young adult or adult client, it should be done accompanied by appropriate therapy. Another factor was that CBT/DBT type of therapy was not something that we were able to make happen for our daughter as much as we tried and searched for the right therapist. As studies are conducted/completed with young adults and FBT, hopefully some adjustments can be made in ‘manualized’ approach customized for this population (if found to be needed). Again, thank you for your fine blog, Dr. Sarah. Thank you for your response. I am very sorry for your daughter’s struggles. This is indeed a huge problem because there are perhaps a handful of people in the entire world who have experience doing FBT with young adults. This is most likely because FBT has not yet been empirically validated on adults, and the FBT manual and training program are specifically geared towards adolescents. You emphasize “the ability to be CARING, CONNECTING and COMMUNICATIVE” as important traits. In my opinion, these are essential traits of a therapist in general, regardless of modality or theoretical orientation. As I see it, there is an overabundance of therapists who are caring, connecting, and communicative, and a dearth of therapists who practice evidence-based treatments. On top of that, there is an even greater dearth of therapists who practice evidence-based treatments on populations for which such treatments have not been validated (such as FBT for young adults). In my experience, a therapist’s status as a trainee reveals nothing about his or her competence or adherence to the FBT model. In fact, it is often the opposite of the scenario you describe – I know many young clinicians who are trainees or interns or post-docs who are much, much more on-the-ball and in touch with recent developments and innovative thinking on eating disorders than the experienced clinicians who supervise them. In fact, I would place myself in this category – throughout my training I was in the delicate position of educating my professors and supervisors about FBT and recent research on EDs. This situation is not unusual – it is often the case that the newer generation of clinicians takes evidence-based treatment as a given. I’m hesitant to make an assessment based on a brief written description, but I’ll do it anyway. Here’s my take: based on what you’ve written, it sounds as though the problem in your daughter’s case was NOT that the clinician was clinging to old-school ideas or trying to bridge the old stuff with FBT. In fact, the problem was the opposite. The clinician was TOO ADHERENT to the FBT manual, without taking into account your daughter’s individual situation. Maunalized FBT requires open weigh-ins and dictates that the process of handing back control of food to the sufferer begins at around 90% of IBW. Perhaps your daughter’s clinician was doing it “by the book,” but the book wasn’t the best guide for your daughter given her unique situation. This is the problem with adapting an evidence-based treatment to another population – it is a risk to do so because there is no empirical basis for it. This is one of the reasons why so many clinicians are hesitant to use FBT for young adults. On the other hand, there are no evidence-based treatments for young adults with AN, so we have to make do with what we’ve got, which isn’t much. Thank you for taking the time to share your interesting perspectives, Dr. Ravin. Dr Ravin makes good points for those who are long-term sufferers especially those whose illness began in the early years, and lost all those years of emotional development. Your points that it takes longer for each Stage (some would say years for each) to work through those losses and entrenched ED thinking and other cognitive changes, makes it so important for long term therapy once someone has gotten through Stage II and starting to work on Stage III. I think what’s key and that needs to be addressed by all clinicians whether they be adapted Maudsley (FBT) for Y/A long term sufferers is that the slow and steady approach is most helpful. So, the question is how would it be determined and assessed if someone is making pro-health choices to keep the illness in remission, developing strong and more effective coping skills, and being able to problem solve and make choices that are pro-health and recovery, rather than wishes and dreams. Would it be wiser to take Stage III in slow and steady steps (increments) so that each step is solidified and the sufferer feel confident in those small steps? My hope is that there will be more research on long-term sufferers and how to best help them to adjust to the world that they avoided through so many years of illness. 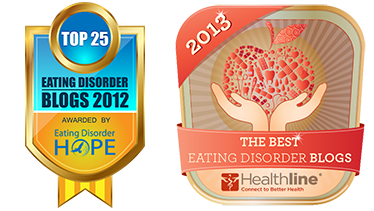 My daughter has suffered long-term from eating disorders and comorbid psychiatric disorders. She had anorexia from age 11 – 18, and has had binge eating disorder with several relapses into anorexia from age 18 until now, at 25. She went to college at age 18 and has been working and living independently since age 20. My husband and I always had her “in treatment” for her EDs while she was living with us, but we did not know about FBT. At age 20 she realized she needed treatment, and, with our help, has had a succession of different psychiatrists/therapists since then. Only in the last year and a half, with a psychologist who has 20 years experience in treating people with binge eating, has she made any forward progress. She did experience a mind-set change several years ago, in that she realizes fully just how horrid her EDs make her feel, and she wants to change. She is working very hard to overcome all those years of entrenched illness, and her progress is slow and complicated by crippling comorbids, including anxiety/panic/depression/hypersensitivity. She still binges fairly often, but is finally eating regular, nutritious meals/snacks every day. And she has accepted that she needs to be at a higher weight than that previous number she had in her head. She has come so far, compared to how she was in the past. We give her much support. We wish we had known about FBT when she was first diagnosed with anorexia at age 11, but that was back in 1999, in the infancy of this treatment. Phase III, as manualized by Lock and LeGrange, is brief in duration and limited in scope. In your approach, on the other hand, Phase III is long in duration and broad in scope. Do you have any evidence that your approach is superior? Furthermore, do you have any evidence to support your statement that people who suffer from anorexia nervosa usually also suffer from comorbid conditions? I’m not convinced. I have no scientific evidence that my approach to Phase III is superior to the Lock & LeGrange approach, as my approach has not been manualized or tested. The reason I often (though not always) offer patients a longer version of Phase III is because parents and patients often request it. The patient may be experiencing ongoing concerns with stress, perfectionism, body image, or other issues and she or her parents that I provide therapeutic help with that. There is scientific evidence that a large percentage of people with AN suffer comorbid anxiety disorders or mood disorders. This is not unique to AN – many people with any psychiatric disorder also meet criteria for another psychiatric disorder (which of course raises questions about the accuracy and reliability of the diagnostic manual). I will find the citations for that and post them shortly. The question is whether, as you claim, the majority of people who have successfully gone through Phase I of FBT (weight restoration) and Phase II (resumption of normal eating patterns) suffer from a psychiatric condition during Phase III. I haven’t seen any data to support that claim. However, if you’ve got it, I’m happy to take a look at it. In my opinion, once a sufferer is fully weight restored and eating normally on her own, she and her family are done. Both the sufferer and her family are psychologically best off returning to normal life as soon as possible, leaving the world of professional psychotherapy behind, and not looking back. They should not be told that further interaction with eating disorder professionals is either necessary, or particularly desirable. Interesting perspective you have there. Are you talking in terms of a younger child who has been ill with ED for a short period of time, goes through the 3 stages and goes into recovery? In our case, we are dealing with a young adult who has suffered from ED on and off for 7+ years now and has several comorbid issues that preceded the ED and continued throughout the sickness. We have been told time and again that the best course of action – once daughter became weight restored – as to get her CBT/DBT/ACT type therapy to help her develop coping skills et al. And in our case, Dr. Sarah Ravin’s point about going for a longer stretch with Stage 3 makes sense. I think that the age and length of illness may matter. Is your daughter restored to 100% of expected weight and eating normally? Yes, daughter is 100 percent expected weight and eating normally. We continue to look for good individual therapist for her to help with the comorbids and coping skills. I’m truly sorry your daughter is continuing to have a difficult time. This must be very hard for her, as well as for you and everyone else who cares about her. I hope things turn around and that she ends up fully recovered. You sound like a very kind and loving mother. Perhaps my comments and questions do pertain to younger patients who have a shorter duration of illness. With respect to that patient group, I think many of Sarah’s comments simply don’t apply. For example, I don’t think it’s true that anorexia nervosa necessarily “wreaks havoc on family life,” that “healthy boundaries” within the family are “destroyed” or that the illness necessarily “strains the relationships between family members.” I think these statements are a bit of hyperbole that might apply in some cases but certainly not all. I think that to say these characteristics apply to all families is unwarranted. It tends to feed the stereotype. It also pathologizes families unnecessarily and tends to make families feel dependent on outside professional involvement when it is neither necessary nor desirable. Furthermore, I don’t think a prolonged course of psychotherapy is necessarily a good idea in order to “restore healthy age-appropriate family relationships” after the sufferer has recovered from anorexia nervosa. Since when are eating disorder professionals the experts on “age-appropriate family relationships”? This concepts sounds terribly condescending and patronizing to me. After all, the age-appropriateness of family relationships is governed largely by cultural and social values, not by objective criteria. Personally, I don’t think eating disorder professionals have any better understanding of age-appropriate relationships than anyone else. In fact, since a very high percentage of eating disorder professionals have a history of mental illness, it may well be that they have a more distorted vision of age-appropriate relationships within the family than others and are in a worse, not better, position to help families in this respect. Similarly, I don’t think it’s true that an adolescent who has experienced anorexia nervosa has necessarily “lost maturity and social-emotional skills.” Even if she has, where is the evidence that talking with an eating disorder professional is helpful in these areas? Isn’t it better to get an adolescent back into normal life with peers as quickly as possible, not insist that she disrupt her life by spending large amounts of time in a therapist’s office? Why do parents “need” to “mourn” the “loss of their child’s innocence” simply because she suffered from a bout of anorexia nervosa? Sounds like psychobabble to me. As a parent, I was eager to celebrate our daughter’s complete recovery, not “mourn” anything. Having lived through anorexia nervosa first hand, I did not need a professional to tell me the “possible signs of impending relapse.” Like all other parents, I had a front row seat to anorexia nervosa and know exactly what it looks like. My wife and I saw anorexia develop in our daughter at close range. No professional was there, and no professional knows what it looked like for our daughter or our family. So why would I need a professional to tell me, at the rate of $150 an hour, what a relapse would look like? This makes no sense to me. Finally, Sarah writes that some parents remain “trapped by anger,” a “destructive feeling,” because they were not “offered appropriate therapeutic support” after their child recovered from anorexia. Perhaps. On the other hand, I feel angry, even though my kid has completely recovered, not because of a lack of therapeutic support, but because the eating disorder professionals we encountered were unskilled, manipulating, and dishonest. They did not base their therapeutic approach on evidence, and they unnecessarily prolonged our daugher’s illness because they did not bother to research the available, modern, scientific literature. Instead, they simply did the same things they had been trained to do many years ago, things that did not work then, and don’t work now. They were trapped in Old School thinking and they were victims of inertia. Their incompetence and laziness forced us, as parents, to go directly into the scientific and professional literature for ourselves and learn about the most up-to-date methods of treatment. At the same time, while our professionals were doing a poor job, we ended up paying them tens of thousands of dollars, depleting one of our kids’ college savings accounts in the process. I am, as a result, angry. I don’t apologize, and I don’t think “therapeutic support” is the answer. The answer is for eating disorder professionals to get their act together, to stop improvising with their eclectic, subjective opinions and old-fashioned clap-trap, and to adopt manualized, evidence-based treatment for anorexia nervosa. They should depart from manuals only when they have strong scientific evidence for doing so and they receive the fully-informed consent of the parents. Right now, manualized FBT has the strongest base of evidence. I say stick with it, including Phase III exactly as written. Unless and until there is evidence that a more prolonged, drawn-out Phase III is effective, therapists are simply venturing into uncharted territory and don’t know whether, on balance, they will do more harm than good. I share your anger regarding the old-school beliefs and practices of many eating disorder professionals. I am also a fierce advocate for and practitioner of evidence-based treatment. I fully agree that FBT is the gold standard for adolescent AN and should be the first-line treatment offered to families. You make an excellent point when you state that therapists who do not follow evidence-based manuals verbatim are “venturing into uncharted territory.” This is absolutely true. Unfortunately, most of eating disorder territory is uncharted because there is such a small evidence base which only applies to a fraction of patients. Manualized FBT is the most effective treatment for adolescents under 18 who have been ill for less than 3 years. However, there are no evidence-based treatments for patients with AN who are over 18 or who have been ill for more than 3 years. Further, there is no evidence-based guide for how to help those adolescents who do not recover fully with manualized FBT. Sometimes it is necessary to venture into uncharted waters because there is no map for that particular person. Finally, I believe it is also important to recognize that there are some cases in which it is in the patient’s best interest to make a modification to the manual. A perfect example of this would be blind vs. open weigh-ins. In my practice, I typically do open weigh-ins because that is part of manualized FBT. However, in some instances, parents strongly request blind weights because they know that their child is highly reactive to knowing her weight, and it only serves to increase her anxiety. In these cases, I have a conversation with parents about the pros and cons of open vs. blind weights. I explain that manualized FBT requires open weights and I explain the rationale. I also offer to be flexible and adapt my approach to the needs of that particular patient and family. When all is said and done, I am glad to weigh the adolescent blind and report the weight to her parents, if this is what the parents desire. Then I would begin open weigh-ins when the patient is further along in her recovery and ready to handle knowing her weight. Am I venturing into uncharted territory by doing blind weights with patients when their parents request it? Yes, I am. But I am also respecting the parents’ knowledge of their child and offering to be flexible in my methods, while still adhering to the basic principles of FBT. In sum, I see this issue in a more nuanced way. I don’t think it is accurate or fair or helpful to divide clinicians into two distinct categories – those who follow evidence-based manuals verbatim and those who “improvise with their eclectic, subjective opinions and old-fashioned clap-trap.” There are some clinicians (granted, far fewer than there should be) who do practice manualized evidence-based treatments while making some adaptations to suit the needs of each individual patient and family. Dr. Ravin-I found your blogs on Phase II and Phase III to be incredibly helpful. Actually, I have found all of your blogs so wonderful and encouraging. I find myself going back and reading them over and over again, like a favorite novel. from all friends for most of the last 6 months. The past week returning to school was understandably so difficult. I know we are basically combining phase II and III. I guess my question is how else could we do it? Homeschooling during phase II adds additional stressors brought on my isolation and lack of normalcy. We are watching her weight and food related behaviors carefully. I don’t want to put her in a position where she can’t succeed. I am just wondering if our situation is unique. Thank you again for your blogs! Your situation is not at all unique – recovery happens at different paces for different individuals. Based on your description, it sounds as though you are not working with a Family-Based Therapist. If your daughter’s therapist is not working within the FBT model, then the three phases of FBT wouldn’t apply. Treatment approaches other than FBT, such as individual psychodynamic therapy, CBT, or residential treatment, do not proceed through three sequential phases like FBT. That being said, if you were working with an FBT, returning to school would not necessarily signal the start of Phase III. Many kids continue attending regular schools full time throughout all three phases of FBT. It just depends on what works for that particular family and that particular child. You wrote that Phase III, as manualized by Lock and LeGrange, is “rarely” sufficient because most adolescents continue to suffer from a co-morbid disorder after Phases I and II have been completed. You said you would find the citations and post them shortly. Where are they? It isn’t sufficient to tell me you “share” my “anger.” This isn’t about anger. It’s about accuracy and logic. Looking forward to seeing those citations. Of course it is not sufficient for me to share your anger – I was just agreeing with your sentiment – and of course accuracy and logic are key. One of the problems in the literature on AN and co-morbidity is that the majority of studies examine currently ill patients with AN, so it is very difficult to separate the effects of semi-starvation from the effects of a true co-morbid condition. One of the things I love about FBT is that co-morbid issues are not addressed until after weight restoration. Holtkamp et al. (2005). Depression, anxiety, and obsessionality in long-term recovered patients with adolescent-onset anorexia nervosa. European Journal of Child and Adolescent Psychiatry. Researchers found that their subjects with a history of AN (who had been fully recovered for > 3 years) were significantly more likely to experience depressive, anxious, and obsessive-compulsive symptoms compared to controls. Wager et al. (2006). Personality traits after recovery from eating disorders: Do subtypes differ? International Journal of Eating Disorders. This study used stringent criteria for recovery (stable weight and menstrual cycle for > 1 year). “The current study confirms and extends studies showing that symptoms [of anxiety and depression] persist after recovery from AN and BN” (p. 281). The above studies notwithstanding, your comments do draw attention to portions of my blog post which are unclear. It is of great importance to me, as a clinician, to be accurate in my words, in my writing, and in my treatment. I will now revise my post to be more reflective of the current evidence base and to clarify when I am discussing my clinical experience rather than the scientific evidence. Thank you for your thought-provoking comments. In your August 14 post, you criticize my statement that “restoring age-appropriate family relationships” is an important goal of Phase III. Actually, the concept of restoring age-appropriate family relationships is taken directly from the FBT Manual. Restoring age-appropriate family relationships is an important goal of Phase III precisely because Phases I and II dictate that adolescent autonomy be temporarily curtailed in the areas of food and weight so that the parents can take control of re-feeding and help their child recover. The authors of the manual are careful to state that the adolescent’s independence should remain at an age-appropriate level even as parents take control of food. In reality, though, it is quite difficult for a teenager to lead a normal life in other areas when all of her meals and snacks are supervised by a parent, and when her activity level is restricted. While some patients and families ease naturally back into normal life after an episode of AN, others desire and request help in restoring their lives to normal. I would be interested in hearing from other parents of children recovered from AN on whether my statements about AN wreaking havoc on family life and straining the relationships between family members are reflective of their experience. Of course these statements do not apply to everyone. However, they do describe the vast majority of families I have treated, heard about through FEAST, and read about in FBT-oriented books such as My Kid is Back, Eating With Your Anorexic, and Brave Girl Eating. My statements are not meant to perpetuate stereotypes, but rather to illustrate just how difficult this illness is on everyone. You hypothesize that manualized FBT “rarely” is sufficient because, you claim, a high rate of co-morbidity generally persists into Phase III, and, you contend, the manual doesn’t adequately address co-morbid conditions. You propose, therefore, that a large number of additional, expensive, time-consuming therapies be added to the FBT manual as a general approach to treatment. The only way to test your hypothesis would be systematically to observe patients who have successfully gone through Phases I and II and then measure levels of comorbidity as the patient enters Phase III. To the best of my knowledge, such a study has never been done. study therefore was able to involve an assessment of the patient’s psychological health during Phase III. Therefore, I don’t think it can be said that the experimental data from Wagner and Holtkamp supports the hypothesis that most patients who have successfully gone through Phases I and II of FBT will experience co-morbidity during Phase III. The Wagner study, by the way, involved a very small group of former AN patients (21 individuals). Many were self-selected and recruited through advertisements and therefore did not necessarily represent a random cross-section of former AN sufferers. The average age was 23.8; these were not children or adolescents. The small group of former AN sufferers scored higher than the control group on some indications of co-morbidity, but lower on others. The sample size was too small, however, to allow for generalization. The Holtkamp study involved 39 former anorexia nervosa patients. The objective was to try to determine whether depressive, anxious and obsessive symptoms persist 10 years after weight restoration. The study showed that in some cases it did, and in other cases it did not. It is significant to note that the subjects in the Holtkamp study had been treated for anorexia nervosa in a psychiatric hospital, not by their parents using the FBT model. The authors acknowledged that it might actually have been the long-term hospitalization, and resulting isolation from peers and disturbance of normal psychosocial development during adolescence, that caused the patients to become anxious, depressed, and obsessive, not the anorexia nervosa itself. In other words, it was possible that it was not anorexia nervosa, but instead the treatment that was given, that was responsible for the co-morbid conditions observed in some of thepatients. This is consistent with other studies showing that adolescents who are institutionalized for significantly long periods of time for any number of medical or psychiatric conditions tend to develop psychological problems due to the hopitalization itself. Manualized FBT does not entail psychiatric hospitalization. Consequently, the Holtkamp study does not tell us whether FBT patients who have been treated at home, and have successfully moved through Phases I and II, can be expected to suffer the same rates of co-morbidity in Phase III that are experienced by anorexia patients who have been treated with long-term psychiatric hospitalization. In summary, I think it is reasonable to conclude that your hypothesis is still merely a hypothesis. It has not been established by experimental data. Therefore, it’s not unreasonable for parents to question the recommendation for more psychotherapy in Phase III beyond what’s written in the FBT manual. If a family feels it would be in the best interests of their child and their family, then that is their decision. If the family feels it would not be helpful, however, and would actually be counter-productive, then they can confidently conclude there is no empirical data to show they are wrong. Thank you for your very detailed analysis of the articles I cited. You are indeed correct – these studies do not prove that individuals with AN who have been through Phases I and II of FBT continue to struggle with comorbid conditions in Phase III. The studies merely demonstrate that many individuals who recover from AN continue to experience psychological distress in the form of anxiety or depression, for reasons that are not entirely clear. You are also correct that my hypothesis is merely a hypothesis – there are no specific experimental data to support it or refute it. This is part of that “uncharted territory” you mention in a previous comment. If you’ll notice, I did revise the wording of the 5th paragraph of this blog entry to clarify that the extended version of Phase III is NOT part of the manualized treatment, but simply something I often offer in my practice for patients when I believe it is warranted. I completely agree with you that it is reasonable for parents to question the recommendation for more psychotherapy in Phase III beyond what is written in the manual. Parents SHOULD question their clinician when they need clarification on something or when they want to know why a particular treatment is being offered or altered. I also agree that it is, and should be, up to the parents to decide whether, and for how long, they wish to pursue an extended version of Phase III. This is how I do things in my practice – I leave it up to the parents. If the parents believe that it would not be helpful, or would be counterproductive, to engage in treatment beyond what is manualized, then I fully support them in that decision. I do want to point out, though, that my experience has often been the opposite – the parents request more treatment for their child than what is written in the manual, precisely because their child is struggling with anxiety or body image or something else, and the parent feels confident in my ability to help their child with that problem based on the positive work we did together in the first two phases. When I am dealing with clinical situations in which there are no specific experimental data to guide me, I look at the data that are available and use my training and experience to bridge the gaps, based on the needs of the particular patient and family. It is logical, reasonable, and within the realm of evidence-based practice to do this. 1.) The data show that FBT is the most effective treatment for adolescents under 18 who have been ill for less than 3 years. 2.) Some adolescents who have gone through Phase I and Phase II of FBT continue to struggle with psychological symptoms such as anxiety, depression, and body dysmorphia. 3.) The data show that CBT is the most effective treatment for anxiety, depression, and body dysmorphia in adolescents and adults. 4.) I am trained in CBT. 5.) During Phase III, the parent requests that I provide their child with additional therapy to address remaining anxiety or depression because their child is still suffering and the parent wants to help alleviate that suffering. 6.) I agree to continue working with the child and/or the family to address remaining issues, using the best evidence-based approach for those remaining issues (which is typically CBT). This all seems perfectly logical to me. It is not haphazard or myth-based. It is using the best available evidence, along with my clinical judgment, to meet the particular needs and desires of the individual patient and family. I am most certainly not recommending that, as you state: “a large number of additional, expensive, time-consuming therapies be added to the FBT manual as a general approach to treatment.” I would not consider 8 or 10 one-hour CBT sessions, occuring once a week or every other week, billed at $160 per hour (or considerably less for families with financial difficulties), to be “a large number of additional, expensive, time-consuming therapies.” In some modern nations, such treatment is subsidized by the government and free to citizens. Finally, I fully agree with your assertion that more therapy is not necessarily better and could potentially be harmful. However, I also believe that, in some cases, more therapy, delivered skillfully and based on the best available evidence, helps people get better. For those families engaging in Phase III, the Manual recommends only four sessions (sessions 17-20), equalling less than four hours of time. My personal opinion is that by the time the family has successfully gone through Phases I and II, which, by definition means the patient has achieved a weight in the normal range (e.g. 95% expected weight), all self-starvation has abated, and control over eating and exercise have been successfully returned to the adolescent without a relapse into AN, it is reasonable enough for a family to conclude that it is finished dealing with eating disorder treatment and with eating disorder professionals. I agree with your opinion that it is reasonable for many families to be finished with eating disorder treatment after a successful Phase I and Phase II. I also agree with Locke & LeGrange that four sessions of Phase III is sufficient for most families. I maintain my assertion that some patients need and benefit from more treatment than the 20 sessions recommended by the FBT manual. In my experience, when a patient needs more than 4 sessions in Phase III, it is usually not to address the AN itself, but rather to address a co-morbid disorder that interferes with her return to normal adolescent development. Also, it has been my experience that the duration of illness is often associated with the duration of Phase III, which makes logical sense. People who have been ill for more than a couple of years will often take more time to return to normal life, where as kids with a shorter duration of illness often bounce back much more quickly. Treatment manuals have to specify a certain number of sessions. Families participating in RCTs have to receive a certain number of sessions in order to create a well-controlled experiment. In private practice, however, there is quite a bit of individual difference among patients with AN when it comes to the speed of recovery. My own practice is comprised of a very diverse group of children, adolescents, and young adults with AN – from those who have been ill for only a few weeks and don’t yet meet full criteria for AN, to those who have been ill for 5 or 10 years prior to starting treatment with me. I believe that it is important to pay attention to these differences and provide each patient with what she and her family need for full recovery, whether that is 5 sessions or 105 sessions. Implicit in your comments is the assumption that professionals have some special knowledge and skill — that parents lack — to help an adolescent recover from a co-morbid disorder after Phases I and II of FBT have successfully been completed. Is there any evidence to support that stance? Is it possible that 105 hours of individual psychotherapy is not necessarily a good idea for adolescents who have recovered completely from AN, and that such a prolonged exposure to psychotherapy is not the best way to return to normal adolescent development? I think these are legitimate, and unanswered, questions. Of course it is possible (and in fact likely!) that 105 hours of individual therapy is not necessarily a good idea for adolescents who have recovered completely from AN. Just to clarify – I used the phrase “whether that is 5 sessions or 105 sessions” as a figure of speech. I simply meant that there is a great deal of variability in terms of how much treatment each patient needs, and 105 sessions would be on the extreme end of that spectrum. In my opinion, it would NOT be in the best interest of most adolescents to have a large number of individual therapy after fully recovering from AN. The question you ask sounds a bit like pitting parents against professionals. Good treatment for adolescents doesn’t do that. Good treatment involves parents and professionals working collaboratively on the adolescent’s behalf. Good adolescent CBT does involve the parents precisely because they have special skills and knowledge about their child. So it’s not an either-or situation. But to answer your question, here’s the evidence: An adolescent who has fully recovered from AN is not much different from an adolescent who has never had AN. There is good empirical evidence to support CBT for anxiety disorders and depression in adolescents, meaning that CBT is superior to no treatment and superior to nonspecific supportive counseling. This is the same level of evidence we have supporting FBT for adolescent AN. I’m not sure how one would go about confirming or refuting the hypothesis that professionals have special skills and knowledge which parents lack. Perhaps that’s why there’s no evidence on that one. I think it’s widely understood that parents have special skills and knowledge about their children, and that professionals have skills and knowledge in their area of expertise by virtue of their training. You write that in your practice Phase III “typically” addresses eight different issues: normal adolescent development, relationships among family members, residual psychological symptoms, working through trauma, addressing grief, relapse prevention, and evaluating and getting treatment for co-morbid conditions. You say, at the same time, that you agree with Lock and LeGrange that “four sessions of Phase III is sufficient for most families.” If it’s true that Phase III typically involves four 50-minute sessions, and you address eight broad issues during that time, then you devote an average of about 25 minutes to each of the eight issues. You are correct to acknowledge that this is uncharted territory. There is no evidence this approach is necessary or helpful. To the contrary, in my opinion, most parents who have successfully helped their kid to beat anorexia nervosa (something that most eating disorder professionals are unable to accomplish consistently) have already demonstrated they are highly competent, probably more so than most eating disorder professionals. It is reasonable for these parents to conclude that they don’t need to pay money to a stranger to spend about 25 minutes evaluating whether the relationships within their family are “healthy” or not. To recommend that approach is really quite arrogant and condescending. I also do not agree with your assertion that anorexia nervosa is a psychiatric disorder. I think the evidence is now strong to support the view that AN is a temporary alteration in the biological forces governing eating behavior. The emotional and cognitive consequences of semi-starvation are unique to each individual and are fully resolved by full nutrition for an extended period of time. The tools of psychiatry — medications and talk therapy — have not been shown to be effective in treating anorexia nervosa. Thus, I think it’s a mistake to characterize AN as a psychiatric disorder and for parents to defer to professionals who have been trained in a model that assumes it to be a psychiatric condition. One reason FBT is effective, in my opinion, is that it places parents, not professionals, in charge. Parents are generally not burdened with the kind of training most eating disorder professionals have received. Finally, I can see how you would view my comments as “pitting parents against professionals.” In my opinion, however, it is healthy for parents to be skeptical of eating disorder professionals, even to “pit” themselves against professionals. Your profession has probably done more harm than good during the past several decades, and the consequences have been bad. Most eating disorder professionals have a history of mental illness, which makes them unfit for the job. Most eating disorder professionals do not understand, or like, evidence or the scientific method, and are unable to separate their personal, subjective, experience from objective reality. Most have developed rigid ways of thinking, coupled with arrogance and a patronizing stance. Their training generally consists of passing on myths and distortions from one generation to the next, then they tend to mislead parents by passing on those same myths to them. There is no evidence that professionals have made any overall improvements in the treatment of anorexia nervosa during the past century. There is no evidence that the treatment of anorexia nervosa is any better in those countries that have a large population of eating disorder professionals than in those countries that do not. I think most parents are better off rejecting — or limiting the involvement of — professionals in most circumstances, and instead focusing on using their parental common sense to simply feed their kid if their kid is semi-starved, and then to use their own knowledge to help their kid re-establish normal eating patterns. The idea of “collaboration” between parents and eating disorder professionals in this endeavor implies a relationship of equality which, at this stage in the development of your profession, is a fantasy and a waste of parents’ time. An alternative view, which I advocate, is that parents should simply be in charge, and the role of the professional should be subservient. This is very different from the kind of collaborative relationship you appear to be recommending. That statement is false. Professionals – psychiatrists and psychologists (Lock, LeGrange, Agras, and Dare) – developed FBT, which has made a significant improvement in the treatment of AN to those patients and families who have undertaken it. Further, Walter Kaye, a psychiatrist, has done excellent research on brain imaging which has advanced our understanding of AN. I completely agree with you that parents should be in charge and that the clinician should be subservient. I tell parents at our first meeting: “You are the head of your child’s treatment team. I will serve as a consultant to you.” I strongly encourage parents to do their own research, to ask questions, to speak up if they disagree with something I recommend. The thing is, most parents come to me desperate for guidance. They want so badly to help their child but they don’t know what to do. They are, on the whole, very well-educated people and excellent parents who have simply been thrown for a loop by this very challenging illness. Common sense is not enough. Most parents don’t know exactly how to respond when their child develops AN, which is why they seek professional help. I agree that professional involvement in eating disorder treatment should be reduced. I don’t think it is effective to have “too many cooks in the kitchen.” Often times in these cases patients get mixed messages, the left hand doesn’t know what the right hand is doing, the various professionals disagree with one another, and the poor kid has to attend multiple appointments each week. It’s expensive and time consuming. My idea of the perfect team is the parents, one psychologist, and one pediatrican: weekly FBT sessions plus medical monitoring as needed. Finally, while I agree with you that the majority of eating disorder treatment that exists today is ineffective or harmful, there are some exceptions. There are some clinicians who are scientifically minded, who support and respect parents, who are well-informed about recent developments in the field, and who can think objectively. They may constitute a small minority of the field, but they do exist. 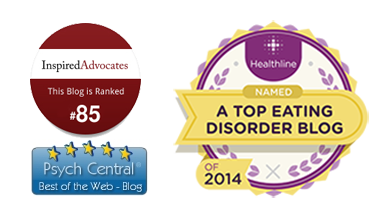 Does FBT represent an advance for which the eating disorder profession deserves credit? Or is it simply a return to traditional practices that have generally served our species well for millions of years? I would say yes to both questions. The profession deserves credit (well, not the profession as a whole, but the professionals who created FBT and those who practice it) because it runs counter to the way things had been done for decades, and because it helps people get well. FBT is also a manualized return to traditional practices that have served our species well for millions of years. Perhaps that’s part of why it works well.